This morning temperatures dropped into the 40s in a few places, highlighting the chill of this air mass. But we are about the turn the corner. 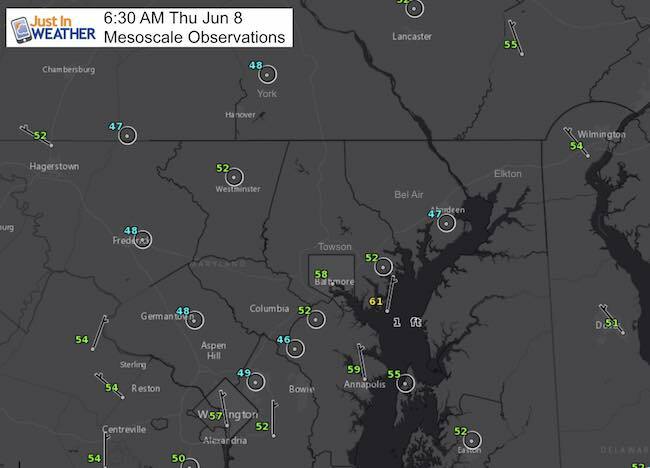 The observations at 6:30 AM already showed some warming from the early sun, so this is not the coolest of the day, as BWI briefly reached the 40s as well. 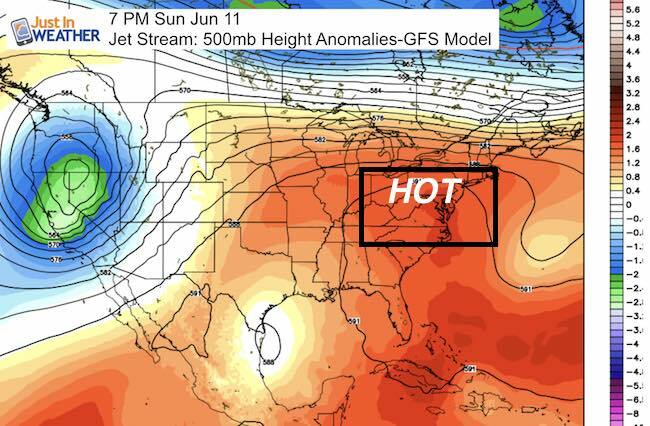 What is really interesting is the contrast of low 60s as well thanks to the influence of the water. A storm will be passing off of the coast with no direct impact on us. The coastal waters will be rough and temps will remain cool thanks to a Northeast wind on the back side… but once this storm passes we will see a dramatic change. 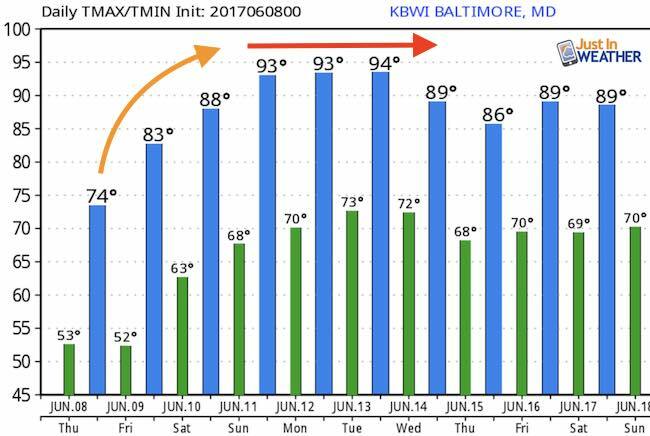 Temperatures are forecast to jump about 10 degrees a day into the weekend. 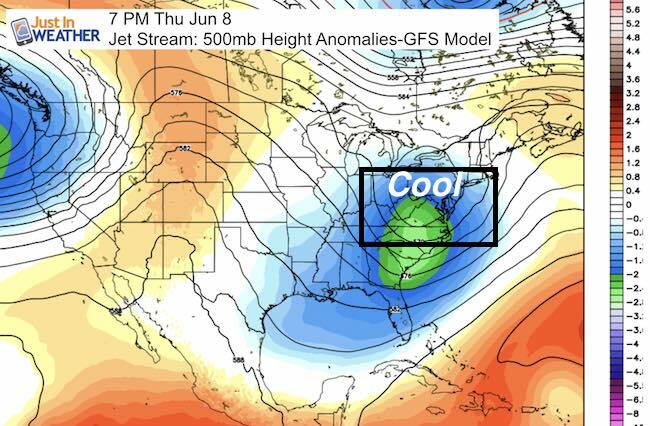 Then we should see between 3 and 5 days in the 90s for a notified Heat Wave.